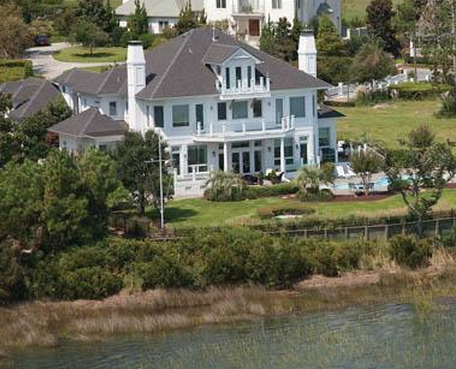 Landfall is a community located in Wilmington, North Carolina and has a total of 2,200 acres in total. 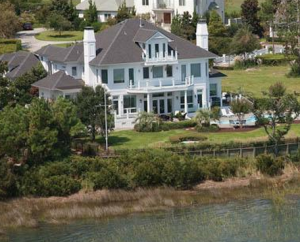 Close to the Intracoastal Waterway, it is a charming and a lovely place to live. The Landfall community has more than 1550 homes to choose from, with 24 separate sub-communities. Each sub-community boasts of having over four miles of waterfront properties in each one alone. The Landfall area is a large gated golfing community, so anyone who enjoys golfing will be right at home in one of these neighborhood’s homes. Landfall is a great place to retire, but it is also a terrific community that offers a lot for families. Over 900 children reside in Landfall. The area is close to the downtown area of Wilmington, North Carolina, which is a culturally vibrant center of the southeast area of North Carolina, recognized nationally for the great quality of life that the place gives to people. Thalian Hall is a theater that has been in existence since 1868. Thalian Hall is one of the most utilized places of its kind today, holding not only a variety of entertainment on its’ stages, but offering all sorts of classes for children every season. Thalian Hall was and still is the center of theatrical activity based in Wilmington since the turn of the 18th century, and as the main entertainment center. If you want to go to a fantastic family amusement park, the Jungle Rapids Family Fun Park is a excellent choice. Jungle Rapids has a Grand Prix go-kart track, 18-hole golf course, an indoor climbing wall, a Kids Jungle indoor playground, Alien Invaders Laser Tag arena, water park, a huge arcade and a place to get glimmer art tattoos. All of the activities that are at Jungle Rapids are made secure, some of them requiring age restrictions and the like. Any child under 16 has to be accompanied by an adult there. The Cape Fear Serpentarium is one of the unique attractions in Wilmington. Founded in 2001 by an experienced herpetologist named Dean Ripa, the place is a 10,000-square-foot place that includes 54 total displays of over 40 species of venomous snakes, 5 large bays with giant boa constrictors, and three full interior habitats specifically for 3 species of crocodile. The Cape Fear Serpentarium has been shown on the Discovery Channel, Animal Planet, Attache Magazine, Oxford American Magazine, the Wilmington Star News, and on other media.